There is often a misconception that local authorities are in charge of everything and can influence anything but the basic fact is that Hounslow Council is only able to deliver within the various Acts of Parliament made at Westminster. In terms of town planning, the council is mainly limited by the content of the Town and Country Planning Act 1990. Applicants turned down at the first stage of a planning application have a right to appeal to the government Planning Inspectorate and an aggrieved objector, for a fee, can also apply to the court for a judicial review; sometimes either may be pursued all the way to the Supreme Court. So, todays wee update on aspirations familiar, new, and Oh! No, not that one again, advises of planning at its various stages here, in Osterley and Spring Grove Ward. Planning reference numbers are cited should anyone wish to seek more details on the Hounslow Council website Planning pages using the reference numbers quoted. Readers will recall a couple of applications from the owner operators of this site, one to modernise Adini’s commercial facilities, retaining the façade and another for residential to enable the development of the first. The council planning committee refused both applications but the applicant successfully appealed the housing element and the decision is explained here in the planning inspector’s letter. This is the site on the corner of Northumberland Avenue and Syon Lane, much loved by itinerant waste collectors. Bar occasional open storage and a brief incarnation in 2017 as a temporary car park for BSkyB, this site was razed in 2008 in preparation for its development as a self storage facility then. These past five years, the Canada based owners of Access Self Storage have made a number approaches to Hounslow Council Planners to build high and wide on this prominent corner site. Keenly scrutinised by residents and ward councillors the owners have come up with for what some may say is a more humane proposal which is likely to be taken to the council’s Planning Committee on Thursday 2 May 2019. An application for lifts from street to platform level was approved before this councillor’s time back in 2009 but did not get built. A more refined scheme has now been submitted by Transport for London as part of the London Mayor’s ambition to improve access for all to the Underground. There are some excellent architectural and railway history documents accompanying this application well worth viewing and the substantive commented upon:design and access statement; heritage statement. Readers will recall the December 2018 exhibition at the Indian Gymkhana with displays of proposals for housing on the Osterley Station car park. Following this event, Osterley and Spring Grove Councillors met with the optioned developer, Apartments for London, to feed back our own, and reiterating residents’, thoughts on their ambitions. So far, no one has come back to us with either a planning application for what the developer originally hoped for or a suggested alternative but as soon as they do, a new exhibition and open meeting will be sought and residents advised and invited. In February 2018, the operator of this franchise applied to change their hours of operation from between 09.00 and 22.30 Monday to Saturday and 09.00 to 22.00 Sundays and Bank Holidays to 09.00 to 05.00 Daily, throughout the year. Planning officers considered both the application and responses from neighbours and refused the application and as a result the operator appealed to the Planning Inspector. The report giving reasons for refusal (mainly increased noise and disturbance affecting nearby residents during the night) has already been shared locally but can also be found here. The inspector has begun the appeal process and has written to the council requesting any further comment from planners as well as residents. That letter can be found here and responses must be submitted in time for a 23 April 2019 deadline. The appellant’s submission to the Inspector can be found here. In response to a local resident spotting a sign going up over these hitherto obscured premises, I raised various planning, conservation and licensing queries with numerous specialist council officers on 14 February 2019. At the time of writing, I appreciate the good work of the council’s planning enforcement team in getting (at least meagre) formal applications for the illuminated sign and change of use class from A3 (restaurant) to A5 (hot food takeaway). To try to understand the applications, the only items to go by are drawings that attempt to regularise the sign and the change of use class. Hours of operation of the takeaway are a licensing matter and should an application be made, will be shared here. 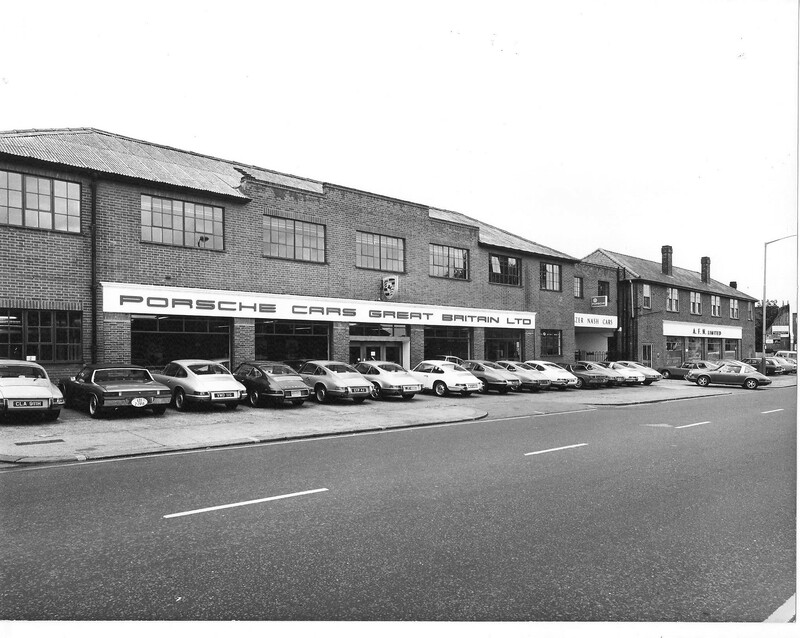 Once a common main road feature, the vehicle showroom is gradually disappearing, AFN Porsche and Marlborough Motors have long become Isleworth memories. There is now a current application for the redevelopment of the Warren Motors site to provide two residential buildings of between part five and part eight stories to achieve 93 flats (comprising three studios, 43 one, 38 two and 4 three-bedroom flats). The applicant’s agent has stated that the reason they have not held an exhibition or meeting is that the, “consultation process carried out by the Local Authority during the planning application will be more than sufficient. To carry out more engagement above and beyond this prior to the planning application consultation could risk causing consultation fatigue”. I have advised the Hounslow planners that I would be willing to chair a local event on this matter. On studying the telecoms company’s proposal there is little difference, in fact perhaps more obtrusive, to another proposal at the exact same spot in late 2016 which caused great concern locally and was refused by this local authority. Almost all residents that would potentially face any equipment live in Osterley and Spring Grove Ward as well as the new Oaklands School. Please forward any comments direct to me, tony.louki@hounslow.gov.uk or other Ward councillors for passing on to the council planners. The charm of Osterley and Spring Grove Ward is that there are many contrasting neighbourhoods developed in different ways these past 400 years, all continuing to adapt to the delights of the early 21st Century. One of the first meetings I attended during this stint on Hounslow Council was the Isleworth and Brentford Area Forum back in July 2014. On that agenda was an item looking at parking and traffic within the south Spring Grove triangle bounded by London, Thornbury and Spring Grove Roads. Around that time I was approached and met with residents of Thornbury, Clifton and Villiers Roads and Pembroke Place to learn of and assist with tackling other environmental issues. The most annoying was the relentless flytipping taking place behind shops on London Road. Here, for some bizarre and historic reason, Hounslow Highways allowed traders to keep commercial waste bins on Clifton Road that attracted additional opportunist deposits almost daily which the same firm had to collect as flytip. Today, however, this anti social behaviour at Clifton Road is rare but this did not come about without numerous tooth pulling episodes. It was resolved by one of those now common, three way collaborations between determined residents, hard pressed but hard working Hounslow Council staff and this councillor persisting and trying to maintain momentum. For nearly two years, no flytip went unreported to Hounslow Highways, LBH Enforcement Officer, Ian Mole encouraging traders to revise their commercial waste contracts and my continuous lobbying of council cabinet members to focus on this hot spot. Culminating in December 2016, the installation of Hounslow Council CCTV watching this corner coincided with the removal of the last commercial waste bin magnets; the rest is history. There is still much work to attempt to resolve the mess resulting from poor disposal of domestic waste from flats above shops on London Road affecting there and around the corner where Pembroke Place meets Thornbury Road. Another change for this neighbourhood is a live proposal to close Clifton Road at the junction with Spring Grove Road. This idea came about from residents affected by the impact of shoppers parking at the recently opened Tesco store. Consultation is currently taking place on this published plan with an explanation why and opportunity to comment described in this letter. The scheme if agreed, will be implemented during Spring 2018.